There are more than 70 licensed wineries in Maryland and 252 in Virginia for you to visit, but it is not recommended that you visit them in one day! Not too far from Bethesda and Rockville is the award winning Black Ankle Vineyard along with many others. Take a visit and enjoy the tastes of our superb locally made wines. We will drive you there and back safely while you enjoy the views and maybe a glass of wine from the limousine bar. 1. 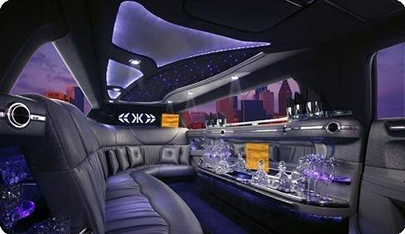 Get there in one of our stylish and luxurious limos. While reclining in the comfortable leather seating, listen to some music on the quality sound system, or take in a wine movie such as Bottleshock or Somm (about becoming a grand master sommelier) on the flat screen television. There is a bar area with stem glassware from which you can continue on with your wine tasting during the ride. Maryland Wine suggests a several different "wine trails". They are listed at: http://www.marylandwine.com/wine-trails. Or you can create your own set of wineries to visit. Virginia Wine has its own list of wine trails. Between Maryland and Virginia, there are so many to choose from, you might want to schedule several weekends! 2. Driving needn’t be an issue. Our fully trained professionally attired chauffeurs are highly trained to take care of all your needs. They will select the best routes to get you to your single or multiple destinations. As the whole point of a wine tour is to sample the wine on offer, there is no need for you to be to be concerned about drinking and driving. 3. Our aim is to cater to all your needs. Whether you are visiting the wineries as a group or as a couple, we have a wide range of vehicles in our fleet to meet any requirement. Perhaps you want to spend the weekend visiting a wide range of wineries; whatever your needs we have it covered. If you are ever out in the Vancouver area and want a great wine tour, check out our friends at Surrey Limo.